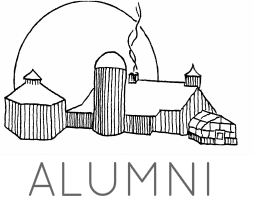 interested in serving on the alumni committee? The Alumni Committee—consisting of up to 12 Mountain School graduates plus the Alumni Office staff—was established as part of the Alumni Initiative in 2011 to create more opportunities for alumni to connect with each other and the school. New committee members are chosen from among those who express an interest, then by identifying those who represent the diverse elements of the Mountain School alumni body, such as age, gender, geographical location, professional background, ethnicity, life experience, etc. Attend in-person working meetings on two weekends a year (usually in October and April). Meetings rotate between major cities where Committee members live, and every third meeting is in Vermont. Modest travel stipends are provided for committee members who live a significant distance from the meeting location. These meetings are critical for the operation of the committee, so attendance is mandatory. Contribute to the year-round work of sub-committees, which change from time to time, but are currently Programs, Communications, Garden Hill Fund, and Governance. Participate in all-committee conference calls three to four times a year, as well as occasional calls as sub-committees. Work with the Alumni Coordinator and each other to find creative ways to achieve the mission of the Alumni Initiative. Support the activities, events, and forums of the Alumni Committee. The Alumni Committee does not work on raising money for The Mountain School. Thank you for applying to serve on the Alumni Committee!